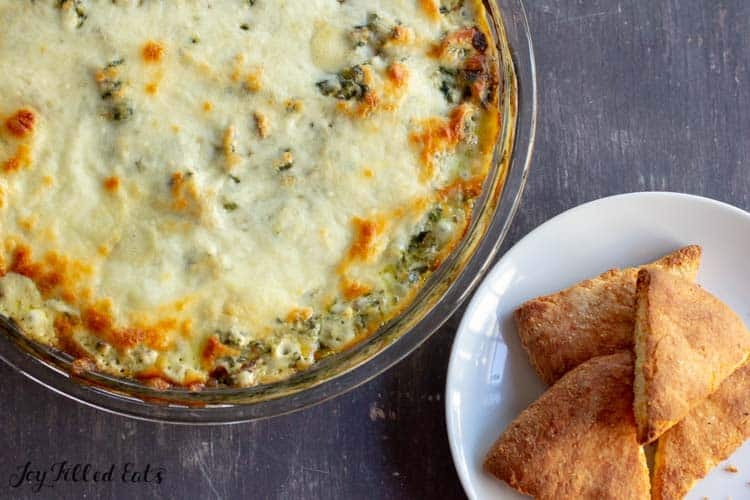 This Sausage Dip with Cream Cheese is a fantastic make-ahead party appetizer. Prep it a day or two before, bake, and serve with veggies or fathead pita dippers. It is packed with flavor and has only 5 ingredients! A few days ago my brother-in-law was visiting from Minnesota so we had all the New Jersey over to visit before he flew back. We decided to keep things easy and order pizza as the main course but I couldn’t resist making a few healthier options to go along with the pizza. I made a big salad with spinach, chicken, red onions, dried cranberries, avocado, sugar-free glazed pecans, and balsamic dressing. And I made this sausage dip. Between the two I didn’t even miss having pizza. Can you believe that this rich and creamy sausage dip has only five ingredients? And a little salt are all you need for a delicious sausage dip. To make my sausage dip recipe the first thing you need to do is cook the sausage. I like to buy ground sausage that does not have casings to save the step of having to remove them. If you are using sausage links the easiest way to remove the casing is to cut all the way down the side of it with kitchen shears. That saves the (kinda gross) step of having to squeeze the sausage out of the casing. 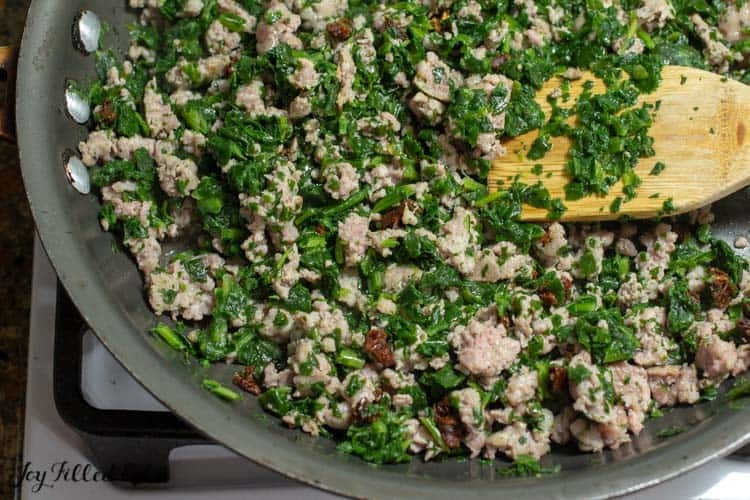 Once you brown the sausage you add in the spinach, sundried tomatoes, and salt. Once the spinach is cooked you turn off the heat and add the cubed cream cheese. Stir until that melts and transfer to a pie plate or small baking dish. 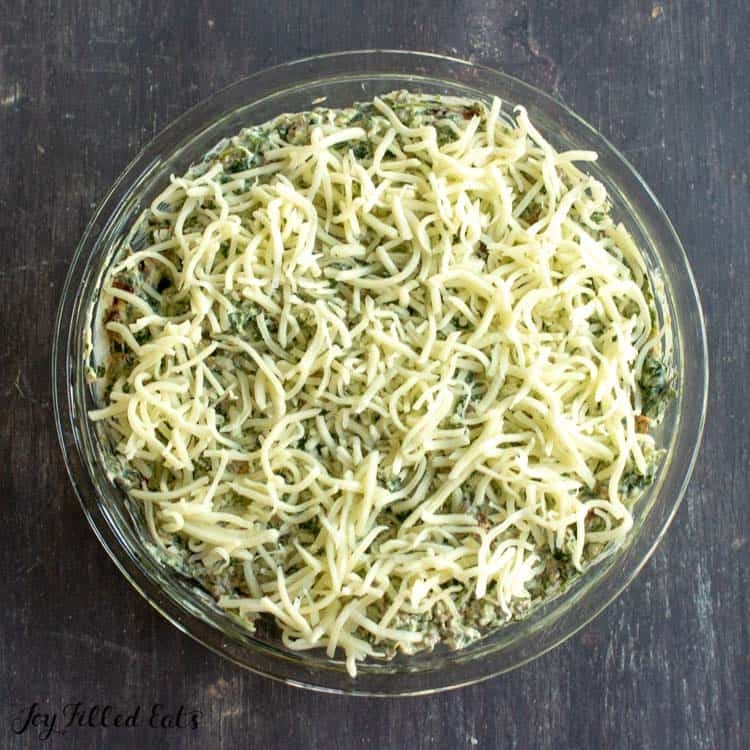 Top with the shredded mozzarella and bake until the cheese melts. 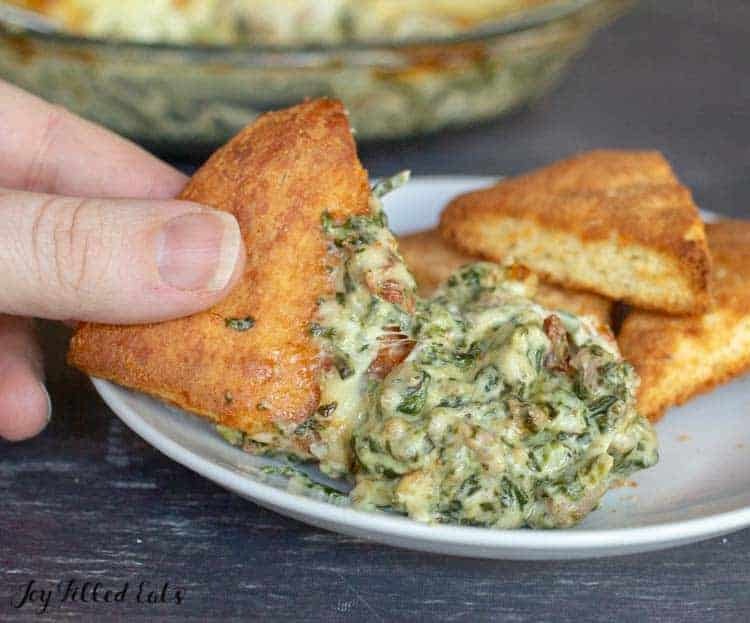 I serve my sausage dip recipe with fathead pita dippers. To make fathead pita just bake your favorite fathead pizza dough in small circles without any toppings. When it’s cooked cut into triangles. You can bake a few extra minutes if you want to crisp the edges. These also freeze well. 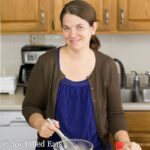 I make a big batch, freeze in a plastic storage bag, and then reheat a few when I want them with a dip or as a side to soup or salad. This dip is also great with fresh veggies such as thinly sliced zucchini and sweet peppers. I love the combination of spinach and sundried tomatoes. I use it in my Tuscan Chicken Casserole and Tuscan Stuffed Mushrooms. One classic variety of salsa dip is to use cream cheese and canned tomatoes with green chiles. 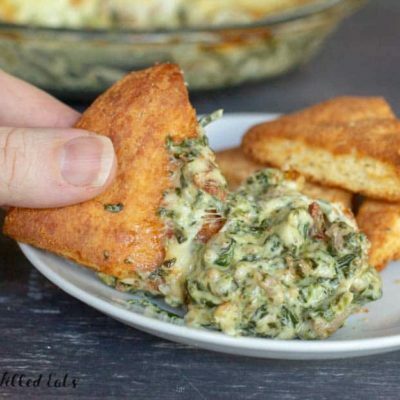 I also want to try using sauteed onions and peppers in the dip instead of the spinach and sundried tomatoes. That taste just like the classic sausage, peppers, and onion subs my husband loves. I hope you enjoy this easy dip recipe at your next party! 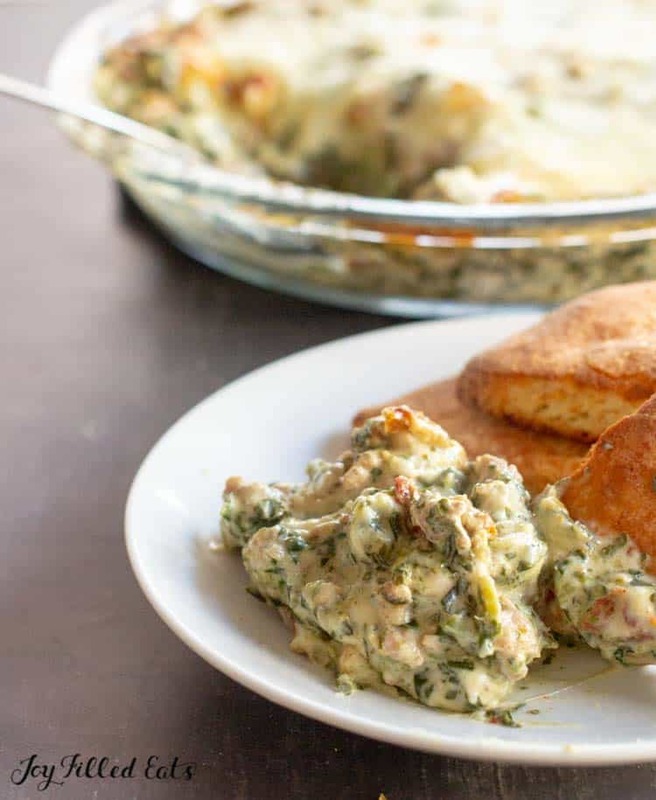 This Sausage Dip with Cream Cheese is a fantastic make-ahead party appetizer. Prep it a day or two before, bake and serve with veggies or fathead pita dippers. It is packed with flavor and has only 5 ingredients! Preheat oven to 400 (if serving immediately). Brown the sausage in a large skillet. 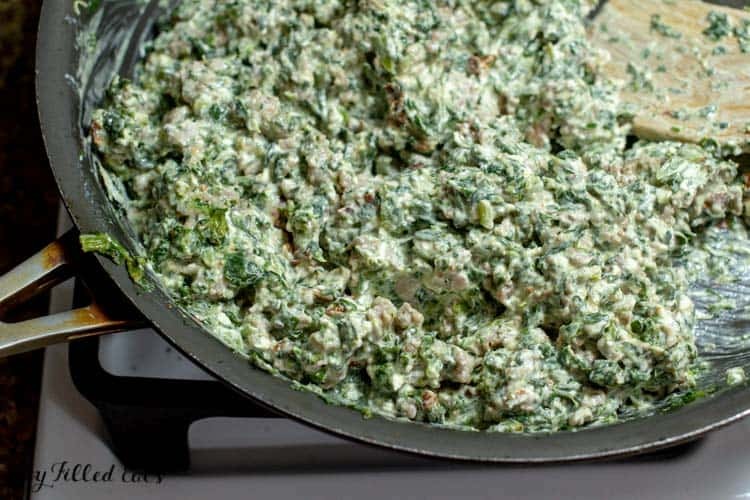 Add the spinach, sundried tomatoes, cream cheese, and salt. Stir until the cream cheese melts and is thoroughly incorporated. 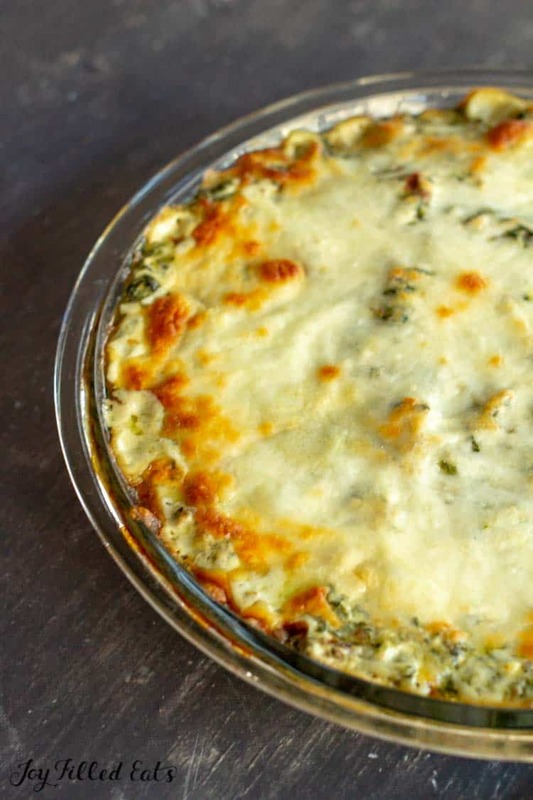 Spread in a pie plate or small casserole dish. Top with the mozzarella cheese. Refrigerate if making ahead. If serving immediately bake for 20 minutes. If preparing ahead of time bake at 400 for 30 minutes until the cheese is melted and golden and the dip is hot in the middle. Could I use fresh spinach?? Yes, just add it to the sausage for the last few minutes of cooking before you add the cream cheese. This is a great keto option for the holidays. 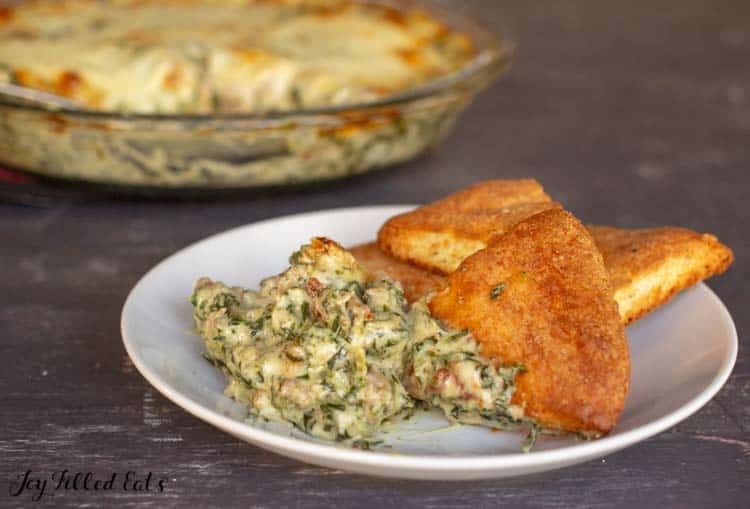 I happen to have several family members who are doing keto so this recipe will be perfect to serve! Thanks!! Wow - so easy and hearty - it's like a meal in itself! Thanks for this super easy recipe - we'll be enjoying it over the next couple of weeks for sure!